There are three kinds of real estate appraisals. One is for determining the value of newly constructed properties. The second kind of appraisal is for evaluating the resale value of residential properties; and the third is for evaluating properties, like shopping centers and apartment complexes, that are slated for investment purposes. 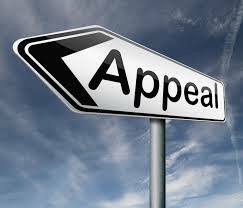 A property that is being appraised is called the subject property. The main purpose of a real estate appraisal is to determine the market value of the subject property. The appraisal is a report that includes many pertinent details about the subject property. It may compare the subject property to other similar properties in order to determine its current market value under the sales comparison approach. It may analyze reproduction and/or replacement costs and accrued depreciation under the cost approach. Finally, it may analyze the properties cash flow under the income approach. Appraisals include an evaluation of the state of the real estate market in a particular area. They describe what kind of area the property is in and they usually compare the subject property to three other similar properties in the same area. They also estimate how long it might take to sell a property in a particular area. In addition, the appraisal will include whether there are any serious faults with the property, such as poor infrastructure or whether the foundation of the building might be damaged. After all these determinations are made, the value of the property is then calculated and the appraisal is concluded. To arrive at a fair market resale price for a residence, the sales comparison approach is used. This means that a few similar properties that have recently been sold in the same area are compared to the property to be resold. These similar properties are called comparables, or comps. The sales comparison approach produces a general picture of the real estate market in that particular area. Comparables are analyzed and adjusted using common appraisal methods and techniques such as paired data analysis, grouped pair analysis and regression analysis. Appraisals of new properties and service properties, such as schools or post offices, often use the cost approach. Following this approach, appraisers determine how much it costs to build these new properties and how much it would cost to rebuild the property if it were to be destroyed and had to be replaced. They calculate these costs and the value of the land, and then deduct depreciation to arrive at the appraisal value of the new property. Appraisers typically use a combination of techniques and methods when estimating properties under the cost approach, which include the allocation method, land extraction, comparative unit method, unit-in place method, quantity survey method and Age-Life method of depreciation. Appraisals of properties that are meant for investment, such as shopping centers or apartment complexes, take into consideration other factors as well. These include estimating how much the property is worth based on the capital investment for operating income in accordance with prevailing market rates. When appraising these type of property the income approach is employed. While every investment property is unique, they all require an analysis of the current and potential future income stream using direct capitalization of net operating income. In addition to analyzing the income the appraiser will value the residual value of the real estate once the property can no longer produce income due to age or obsolescence.